We thank You for the Godly heritage of this nation - for the Kingdom foundations within our nation, our Government, Justice systems, National Institutions and Culture and we thank You for the men and women who laid those foundations through their love for You and their love for the people. We confess where their promises, commitments and vows made to You on behalf of the land have been broken or unfulfilled and we appeal to Your mercy, that any judgment against us will be reversed. Take a moment to ask God what He would put on your heart. We decree as the new season for this nation is birthed, and as the new foundations are laid, the United Kingdom will be shaped and formed according to God’s design and completed according to His order and timing. We speak into the Brexit negotiations , and we declare shift where they need to shift, change where they need to change and align where there needs to be Kingdom alignment. Now we declare in this season, You desire to use the many and not the few, so in Jesus Name, we call Your people into position, and declare the uniqueness of gift within each one, will be ready, positioned and released, in Jesus Name. 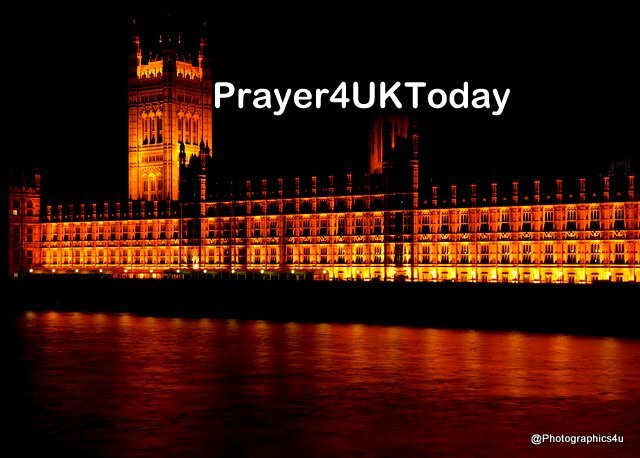 Now Jesus, we continue to pray for Theresa May, that she will hear Your voice, above and beyond every other voice, that she will have courage to do as You ask, and strength to carry through against all opposition.